Quality Vaults & Monuments has been providing granite monuments, bronze markers and memorials in Florida since 1970 and we take great pride in our heritage. 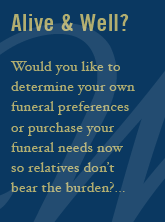 We have a long history of assisting our families in a respectful and compassionate manner to help them memorialize their loved ones. In addition, Quality Vaults & Monuments offers burial vaults and cremation urn products to 10 counties in Florida: Lake, Sumter, Polk, Highlands, Osceola, Orange, Seminole, Volusia, Flagler, Putnam.